“Caged” debuted during Arts Unexpected, it will be on display through Wednesday, April 18 on the southeast side of the Student Union Building. “The purpose of this project is to make room for humanity in our understanding of America's criminal justice system,” said Katie Dix, SA&P student and president of the UNM chapter of the American Planning Association. 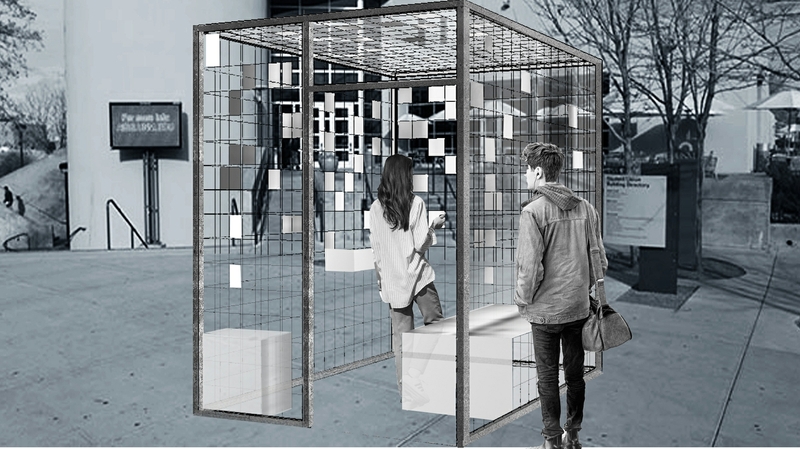 Designed to enhance the Lobo Reading experience, “Just Mercy” by Bryan Stevenson, students from the School of Architecture & Planning conceptualized an installation to resemble a prison cell. "CAGED" refers to the physical confinement of the cell but also the systematic circumstances that have led to and continue to perpetuate mass incarceration in the United States. Designers from the School of Architecture & Planning included Arjun Bhakta, Tony Castaneda, Katya Crawford, Katie Dix, Tangie McNair, Marisol Meyer, Alex Stone and Elizabeth Wilson. The students are asking people to share thoughts and photos to the installation’s Instagram @caged_unm with the following hastags: #caged #caged_humanity #caged_UNM.